My grandparents have always maintained two large gardens between our house and theirs. At this time of year as a little boy, I was quite eager to help in the garden. Maybe some of the excitement stemmed from the fact that I spent all day in the mud and the work felt more like play; it could have been that tracking around mud got on my mother’s nerves or maybe just spending time with my grandmother, grandfather and other relatives was full of enjoyment. The garden provides our family with enough potato to last the season. As well, an abundance of turnip, carrot, greens, radishes, cabbage and onions. Additionally, my grandmother has a strawberry patch she maintains and a beautiful flower garden. I only hope to have some of her green thumb, as I am trying to grow tomatoes, peppers, asparagus, green onion and other vegetables I enjoy, but at times are difficult to obtain or costly to purchase. 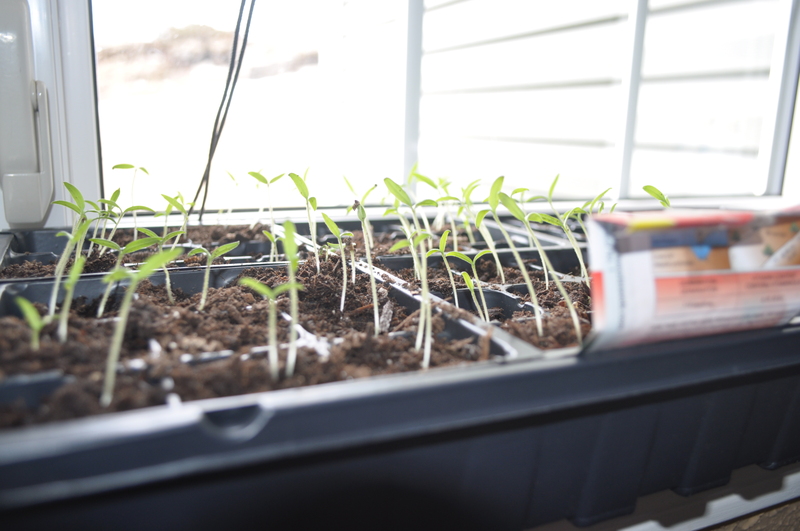 The project will lead to a greenhouse to transplant and nurture these vegetables. A visit to the grocery store this week set off an alarm that food prices are certainly climbing at an alarming rate. Three tomatoes were priced at nearly $5.00, brocoli was $4.00 and there was no asparagus. Food prices and food security has become an increasing issue, especially for rural regions. In the past, we were able to subsist of food we grew on our own. Although there are gardens at roadside, far more people are opting to buy from the California Farmers or elsewhere than from our own backyards. We should reclaim the land that can grow us an abundance of nutritious food, construct greenhouses and build community gardens as a means to combat soaring food prices. In co-operation, rural communities can grow stronger! I hope my little crop produces some good results! Posted on May 15, 2011, in Business, Community Economic Development, Heritage and tagged Flower garden, Food, garden, Grocery store, home, Home and Garden, Plant, Tomato. Bookmark the permalink. 2 Comments.